1. 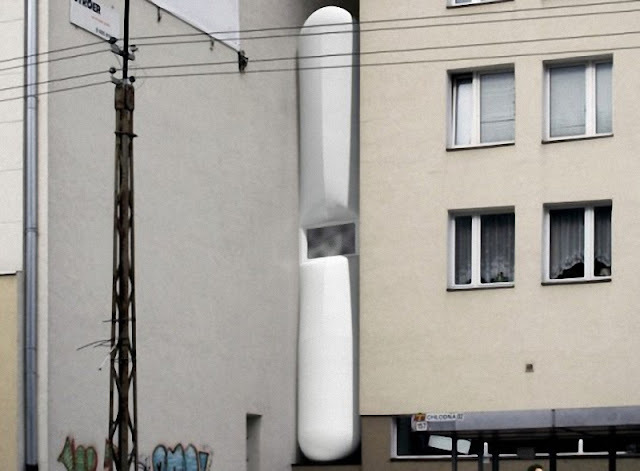 The smallest house in Warsaw (Poland) is adjacent to the Church of the Holy Spirit. This tiny house is in classical style was built in the late XVIII century, on a piece of land with an area of several square meters. Now its a shop of newspapers. 2. 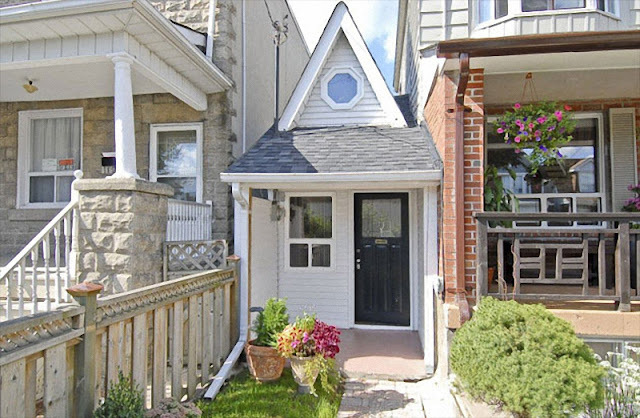 The smallest house in Toronto (Canada), was built in 1912. As with any “normal” house, it has a living room, bedroom, kitchen and bathroom. The total area is of only 28 square meters. 3. In the UK there is a house virtually in the same area. 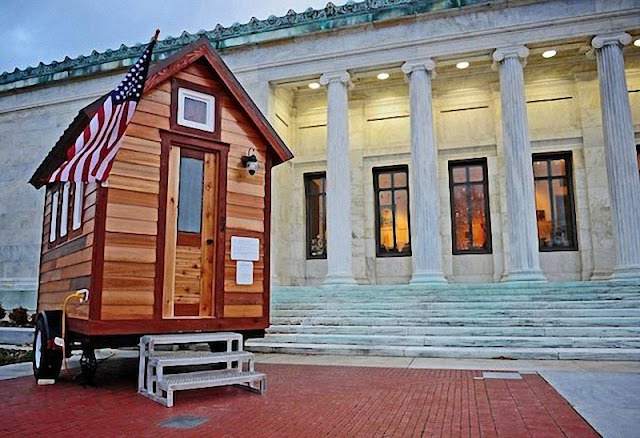 On the ground floor their is only a bedroom and shower, while the second one is – a living room and kitchen. It is assumed that the lodge can accommodate only one person. 4. 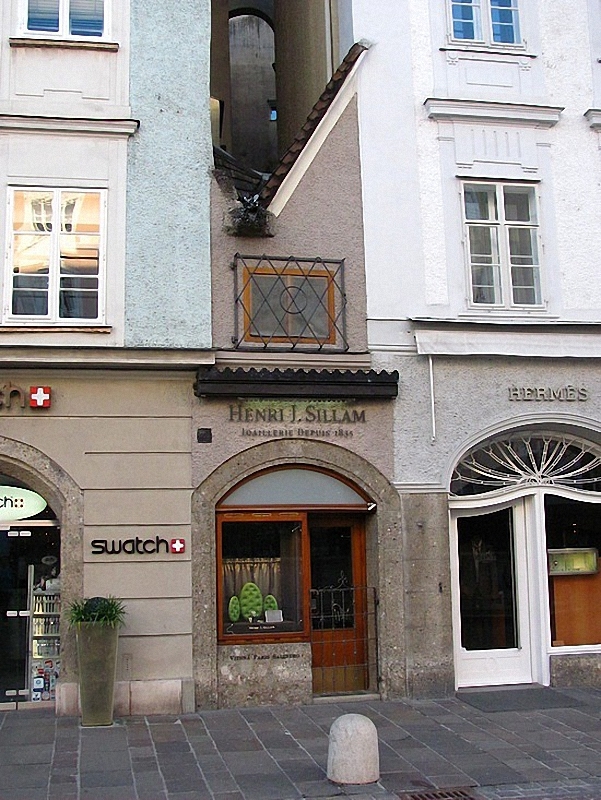 The appearance of the smallest house in Salzburg, with a facade of half a meter in width associated with a long romantic history. Once a girl gave his boyfriend the consent to marry her, but they needed a house. The young man was very poor, but smyshlen squeezed his house in the partition between two existing houses. 5. 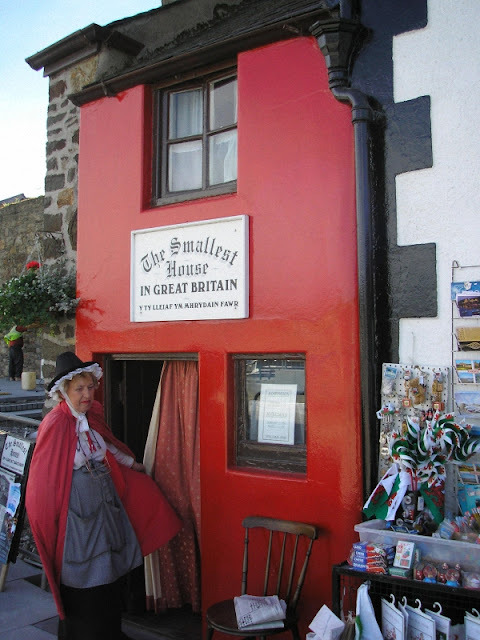 Perhaps one of the smallest houses in the world is in the United States . 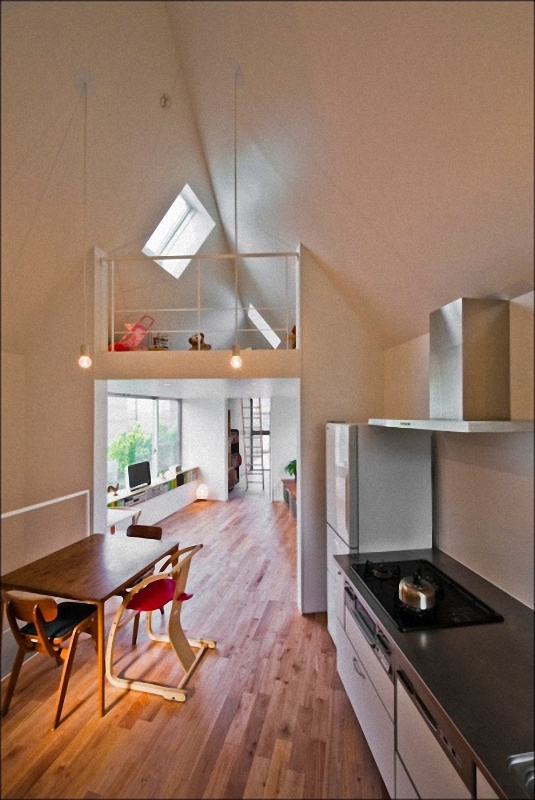 Its area is only 6 square meters. the house has a kitchen with refrigerator, shower and bed, located in the attic. The set comes with the house special platform-trailer for transport. 6. 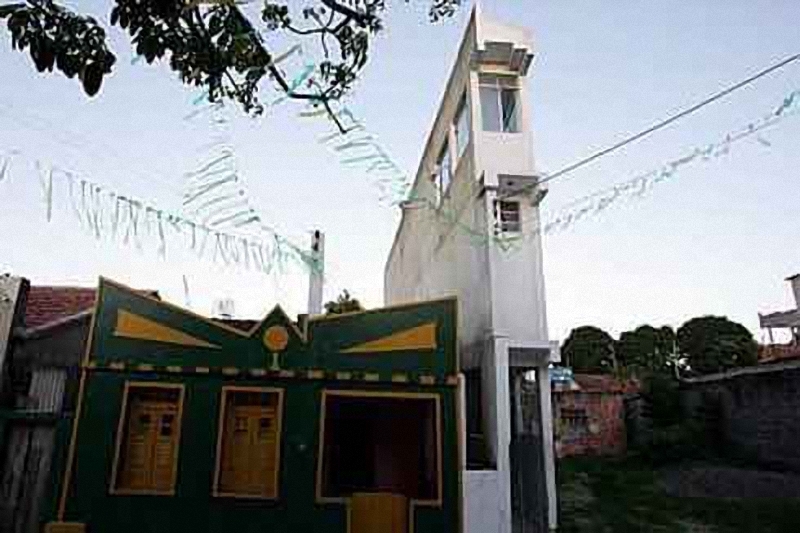 This house is of one meter in width and a height of 10 meters was built in Brazil . The house has three floors, which housed two compact living room, three bedrooms, kitchen and veranda. At the beginning of the construction phase, the local authorities wanted to ban the construction of the house, but later changed their minds. 7. 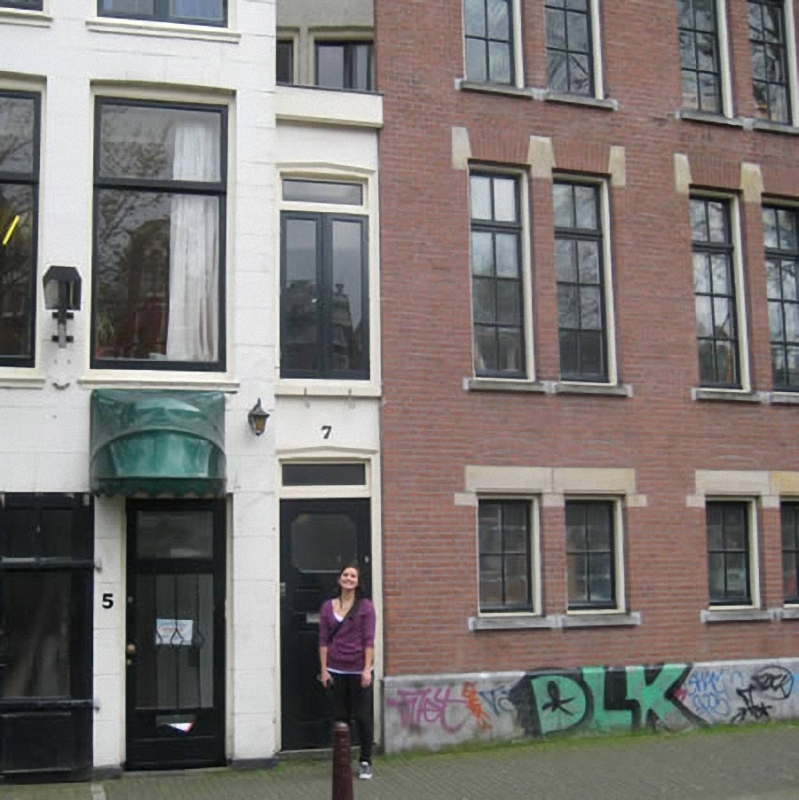 Residents of Amsterdam are not tired of repeating that it is the smallest house of the city. However, this is not the case. The fact is that during the erection of a building tax on the house it is directly dependent on the width of the facade. And the enterprising owner has constructed a full house with a facade of a meter, which is the only entrance. 8. 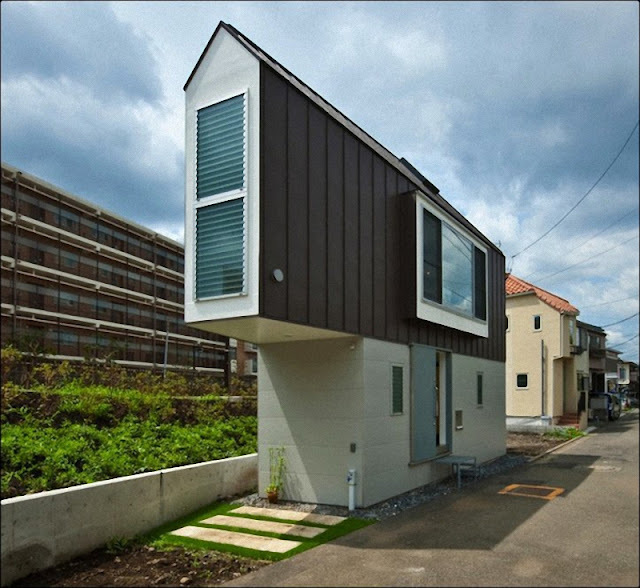 This house is in the style of hi-tech in Tokyo . It is built on a small piece of land triangular in shape. The lower floor is a bedroom and bathroom on the second floor – living room, guest room and kitchen and the attic is for children. 9. In general, the creation of miniature size and minimalist style houses can be called one of the innovative trends of modern architecture. 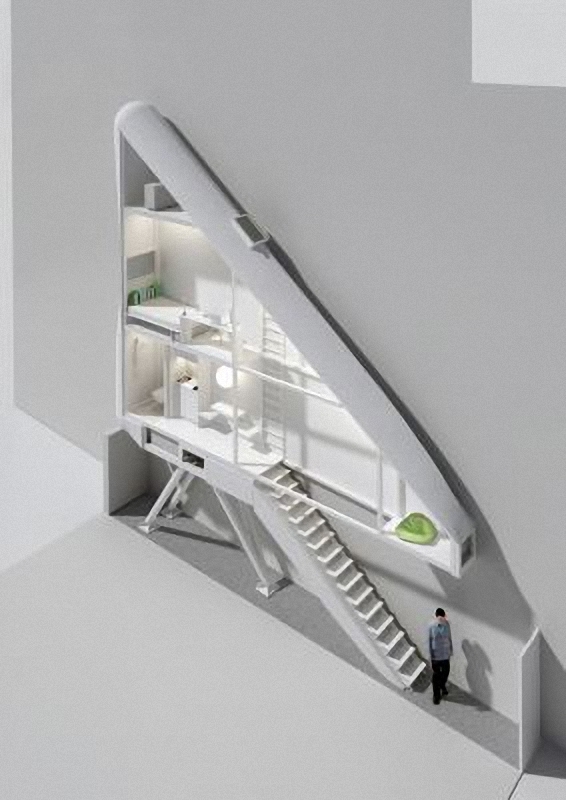 For example, In Poland some people are preparing to release a house-room, with an area of 14.5 square meters. The width of the home varies is from 122 to 72 centimeters. 10. And what about Russia ? Do we have any decent examples of small club-houses? Of course there is! 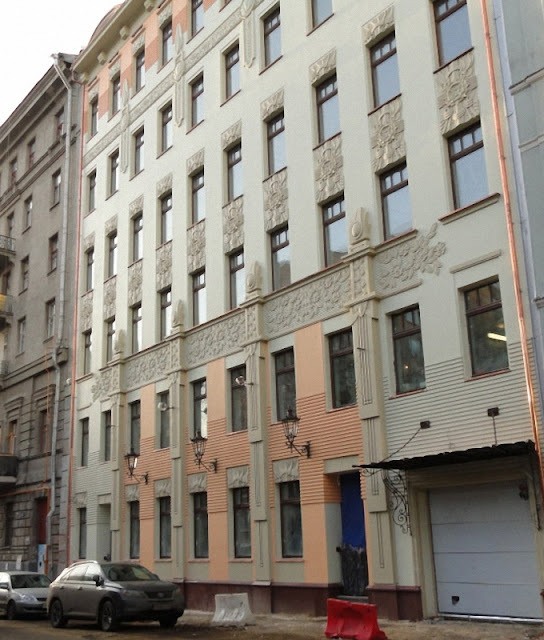 More recently, in the heart of Moscow in one of the quiet lanes of the Old Arbat, a luxury residential building is appeared , consisting of just 12 apartments. It should be noted that this premium apartments is with ceilings 3.4 meters and a free plan.